I've just added a "Sneak Preview" page to my website. Check there frequently or not so frequently for a taste of what I'm currently obsessing working on. Have I ever been this involved with a character? I think not. This is twice in the past two weeks that I have written about Adelaide though sobs and tears. Everything that is happening to her seems to happen to me. Though I have experienced some of those things in my life I seem to be re-living them all through Adelaide. When I started this book (working title: The Bishop of Who, that has to change) I had an inkling that I was doing it as a spiritual exercise. Something to exorcise some of the spiritual demons that have been chasing me around for awhile. Little did I understand that Adelaide would help me examine my whole life. She goes where she wants with her story. Yesterday I reread a description I wrote of the book before I started. Though the premise remains the same, I wonder that I was so sure what would happen in the story line. Everything changes. I guess I have to resolve myself to that with my particular writing style but sometimes its really hard. holding Bishop's Committee meetings in my head at 2AM is just not acceptable. I am now fully into writing the book that has as a working title The Bishop of Who. I never before counted the words in a book as I wrote (even during NaNoWriMo) and I find it fascinating to observe that the more I count the faster I write. I fully expect that in a week or so, unless I run completely dry, I will be setting finger to keyboard at the rate of 4000 words a day. What causes me to rush so headlong into arranging pixels on page I know not. I just know that I have to. Spent the afternoon consulting a Yiddish dictionary and the Episcopal Hymnal (1982). A writer's life. Two thousand words some of which are not English. It is interesting, as you get deeper and deeper into a book, to examine your thought processes . When I first get an idea it is all intellectual. The questions are related to who is my protagonist and what is her motivation. Then, unbidden, a character will begin to talk to me. Sometimes it is the protagonist who is speaking. Sometimes it is the person I think is the protagonist but who eventually takes a back seat. [In In Between Goodbyes Ian was supposed to be my protagonist but Hope took over]. Sometimes it is just the dog. Suddenly, in a rush the narrative and the dialogue all come tumbling out. People overtalk each other. Characters explain their motivation. Then, for a while it is all silence, as if someone yelled "Cut." I can't get anyone to talk. But that is necessary for people and narrative to straighten itself out. I get antsy. Today everyone started talking at once. I was compelled to sit and type about Rome, about spiritual directors, about a tiny world that was shaping itself. I would love your feedback! Please note that comments are moderated so your feedback will not be immediately visible but I will try my best to check them and approve them daily. "Whether you love horses or not, this book will delight you. And...it's a great read anyway! There is mystery, romance, and marvelous human interest. I read it in one sitting but I had to go back later and take it slower to savor the details. " "Just as the man in the painting is totally unlike the standard image of a good shepherd, Ms. Wible is showing herself to be a writer unafraid to veer far and away from standard fiction themes. " "Strong characters carrying heavy psychological baggage feature in this insider's look at life in New York's theater district. A touch of mystery makes (this)...a fascinating contemporary romantic tale. ...(this book) will be enjoyed by readers who like a good hearted heroine, a worthy man who stays true to his love and the smell of greasepaint." Forward CLARION reviews. 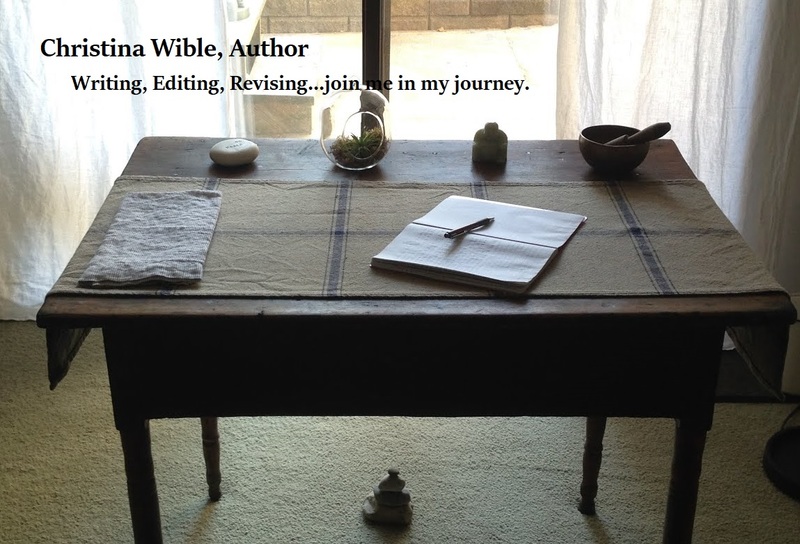 Contact me at author at christinawible dot com (you know where to substitute the symbols - I'm just trying to exclude non-humans). The form my host provides for this purpose doesn't work. Blah. Copyright © 2008-2019 by Christina Wible All rights reserved. No part of this publication may be reproduced, distributed, or transmitted in any form or by any means, including photocopying, recording, or other electronic or mechanical methods, without the prior written permission of the publisher, except in the case of brief quotations embodied in critical reviews and certain other noncommercial uses permitted by copyright law. For permission requests, write at the email above.